I love wearing scarves. They’re a wonderful accessory to many outfits and a perfect transition as we look towards switching over to the fall season. I have a handful of ways that I wear a scarf, but when I came across this video I was completely captivated. It’s five minutes of your life that you won’t regret. 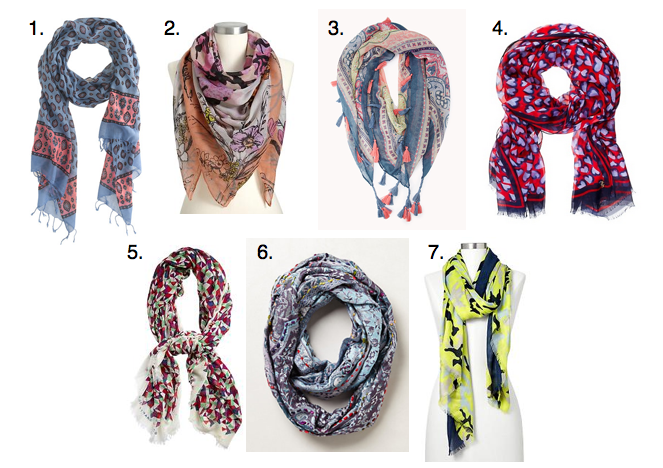 Let me know what you think and then check out some scarves that caught my eye below. What are your fav’s? I know a few were obvious, but who knew you could tie a scarf so many ways?? I’ll be trying out the bunny ear and the waterfall along with a few others. Marisa, thank you so much for this!! I have been at a loss as to what to do to make my scarf look chic! !